Another directors award for 'Childhood of a Leader' with Robert Pattinson from the Lisbon Film Festival. "Brady Corbet receives the “TAP Revelation Award” as Best Director for The Childhood of a Leader The TAP Revelation Award distinguishes the film, director or actor that the official selection jury considers to have stood out as a revelation. This year, the jury has given the TAP Revelation Award to a director, Brady Corbet, for his film Childhood of a Leader. This film, which premiered at the LEFFEST, is a terrifying fable about the rise of fascism in the 20th Century. The cast includes Robert Pattinson, Stacy Martin and Liam Cunningham. 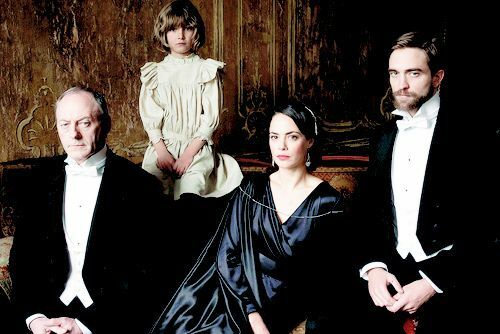 Brady Corbet, best known for his work as an actor (Thirteen, Mysterious Skin, Thunderbirds, Funny Games), directed his first feature with Childhood of a Leader. Corbet and his film have already won the Best Debut Film and Best Director awards at the 72nd Venice Film festival." Great to see another award for Brady Corbet and Childhood of a Leader. Venice and Lisbon Film Festivals both recognising this debut film with awards. Also nice to see Rob's choice of directors getting so much attention!